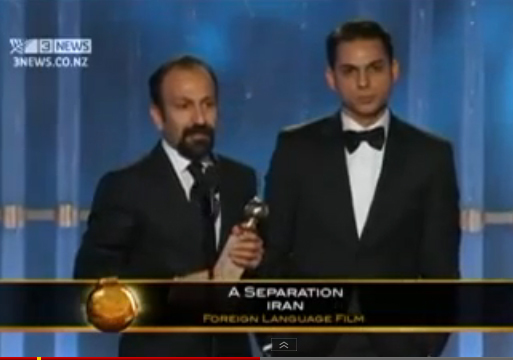 Asghar Farhadi after winning Golden Globe for the best foreign film last night. Merci Mr. Farhadi. Merci Iranian Cinema. Merci the peace-loving people of Iran! “A Separation is not the work of a constrained artist. It’s a great movie in which the full range of human interaction seems to play itself out before our eyes.